When Bryce Cluff zipped up his Queen Creek FFA jacket for the first time he never dreamed that it would lead him on a path to becoming the 2017 Arizona National FFA Officer Candidate. In fact, the University of Arizona junior said he didn’t join FFA because he saw a future in agriculture for himself, but rather was looking to fulfill a science credit at the time. “We often look at the front of someone’s jacket to identify whether or not they can create an impact, but the reality is that it is the person who wears it which will decide that,” Cluff said. Aside from driving by corn and cotton on the roadside and a brief stint raising 4-H poultry, Cluff’s passion for agriculture wasn’t ignited until he joined FFA his sophomore year of high school. From Supervised Agricultural Experience to Career Development Events, Cluff competed at the local, state, and national level in events such as Marketing Plan, Agronomy, Livestock Evaluation, and Veterinary Science. And his passion for ag grew. 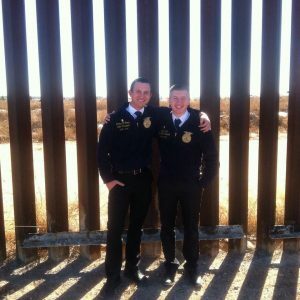 Upon graduating from Queen Creek High School in 2015, he ran for Arizona FFA State Office and was elected to serve as the State FFA Vice President. During that year as a state officer, Cluff got the opportunity to travel thousands of miles across Arizona visiting with the FFA members. That journey across the Grand Canyon State also helped Cluff narrow down his calling within the FFA and ag industry. Currently pursuing a Bachelor’s of Science in Agricultural Technology Management & Education, Cluff’s career goal is to become a high school agricultural education instructor and FFA Advisor. But for now, Cluff is focused on the National FFA Office — a position he tried for last year. In Arizona, candidates are selected to represent over 11,000 FFA members from across the state as a National FFA Officer Candidate after they have completed an application and interview process. This year Cluff beat out two other highly qualified individuals for the state bid. 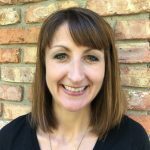 Since selected, Cluff has spent countless hours preparing. 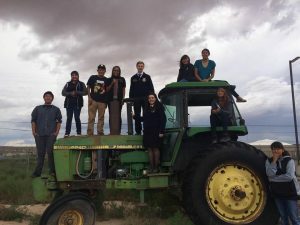 Besides studying and speaking opportunities, he has also tried to spend as much time working hands-on with FFA members as possible, learning more about the diversity of Arizona and American agriculture, and developing a deeper knowledge of the American education system. Cluff’s goals if elected? His first to create strong connections with all that he would meet. He also hopes to work alongside students from every corner of the blue corduroy nation to discover all the achievements students have made through FFA. While Cluff’s ultimate goal is to serve as a National FFA Officer, he recognizes the process will also shape him as a person — regardless of the outcome.